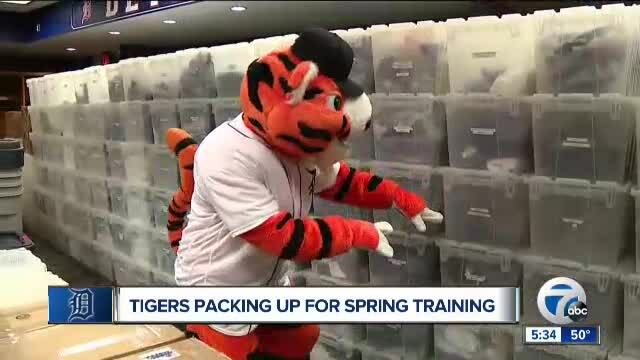 The Detroit Tigers are loading up their equipment to head to Lakeland for Spring Training. DETROIT —It's an annual sign spring is almost here. The Tigers packed and sent off their truck for spring training. Jim Schmakel is the team's clubhouse manager, and has worked with the team for 41 years. Brad Galli has more in the video above.